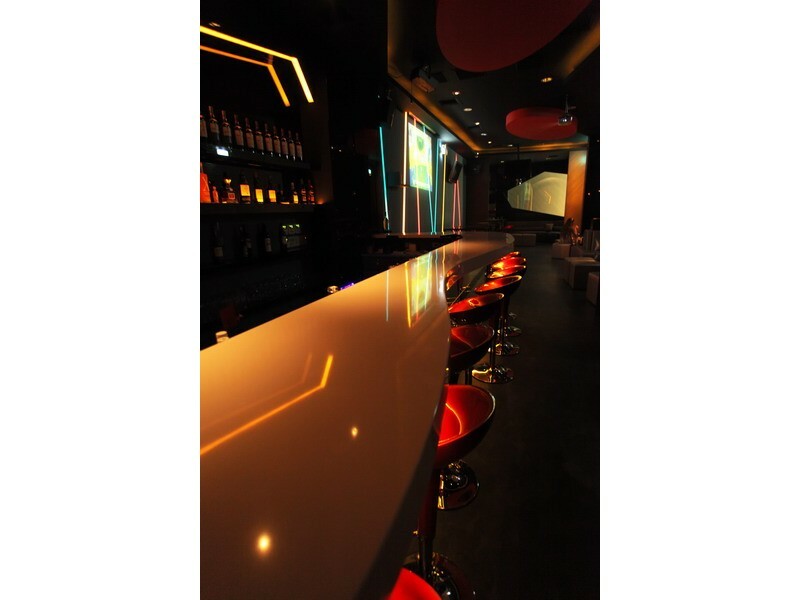 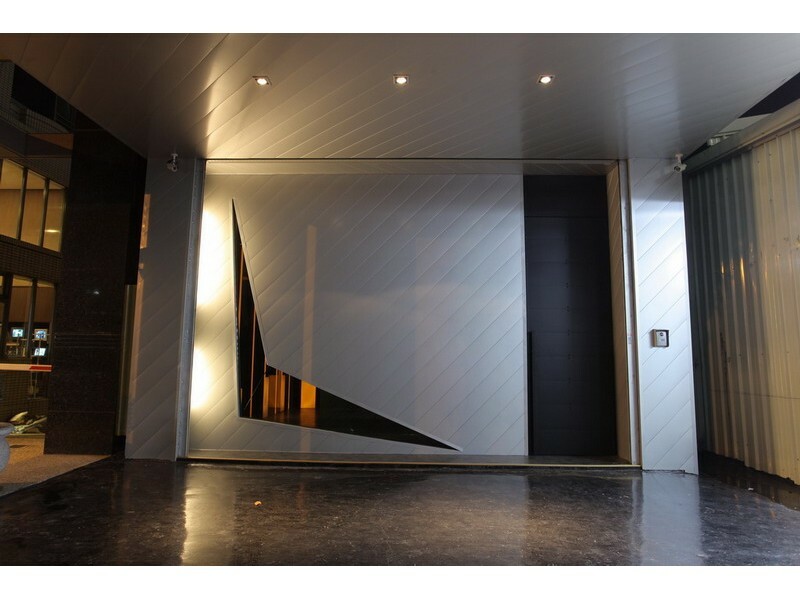 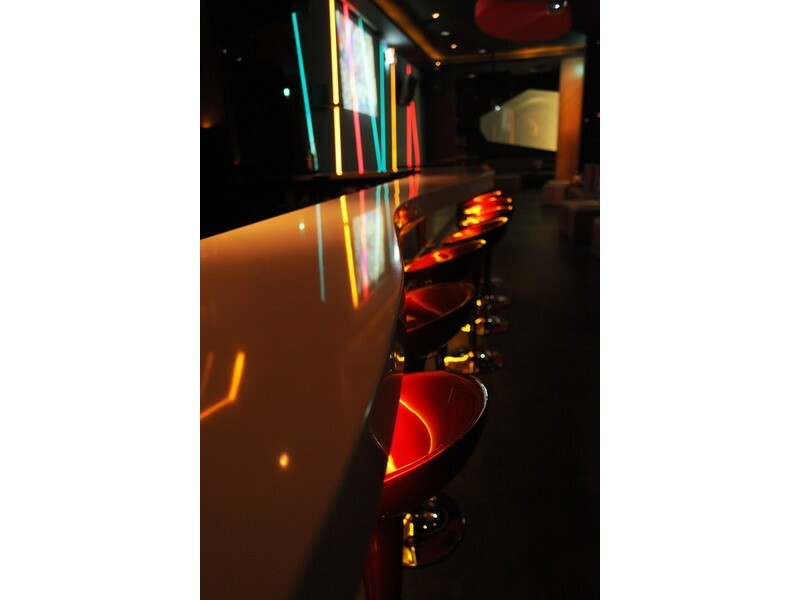 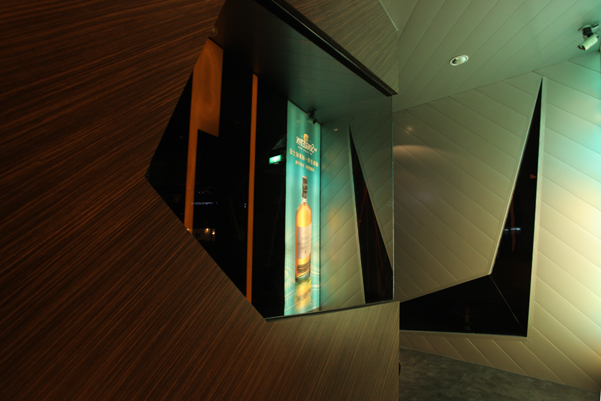 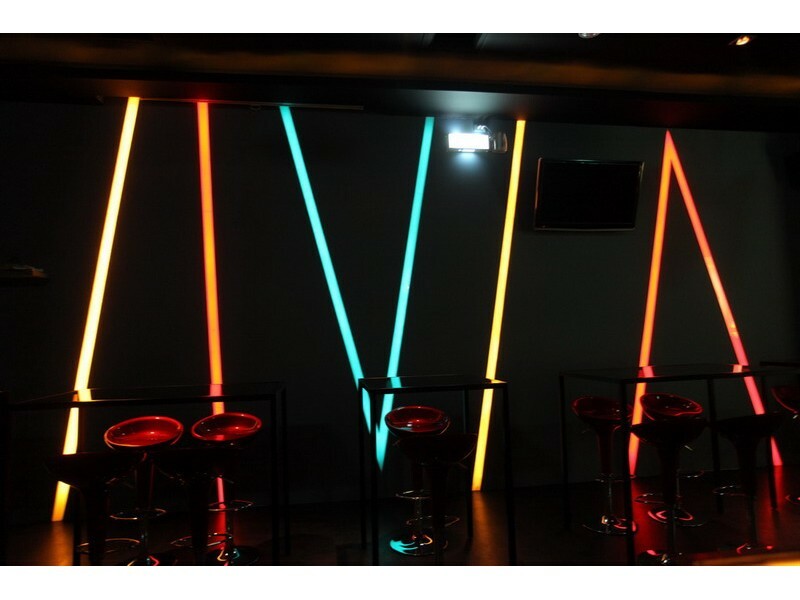 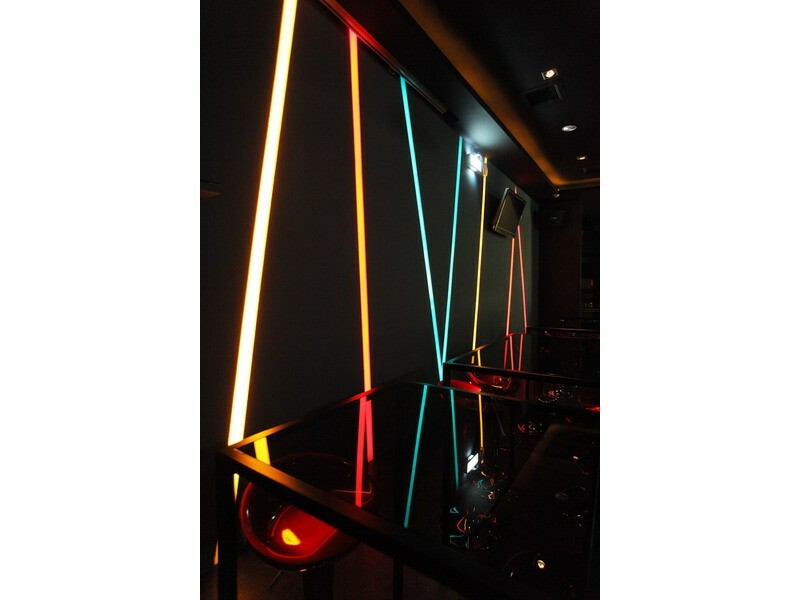 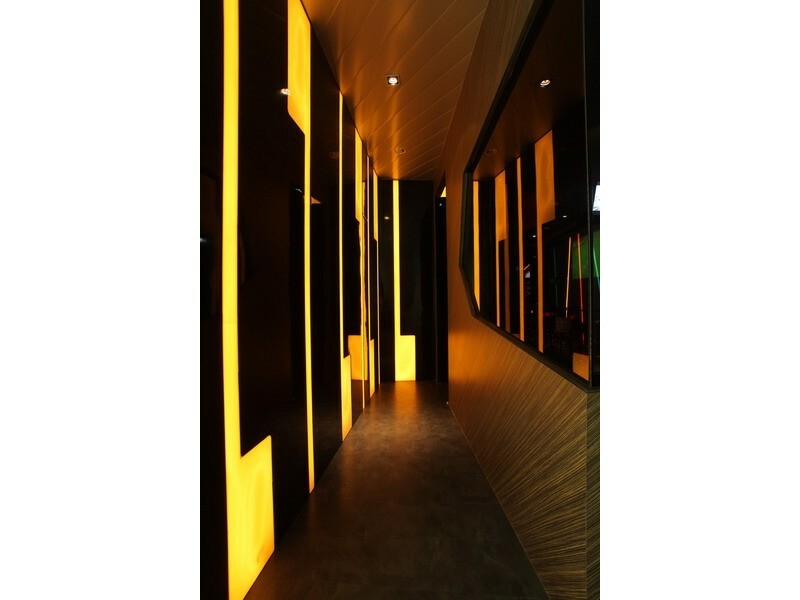 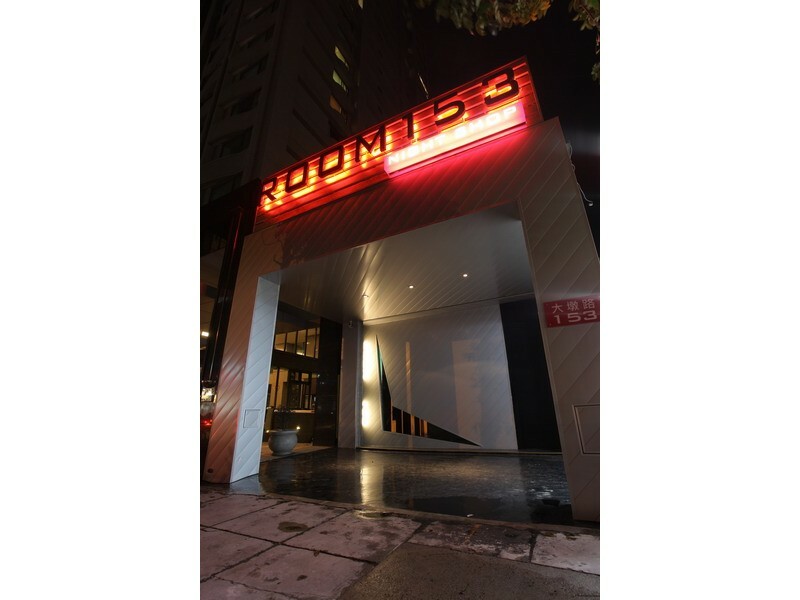 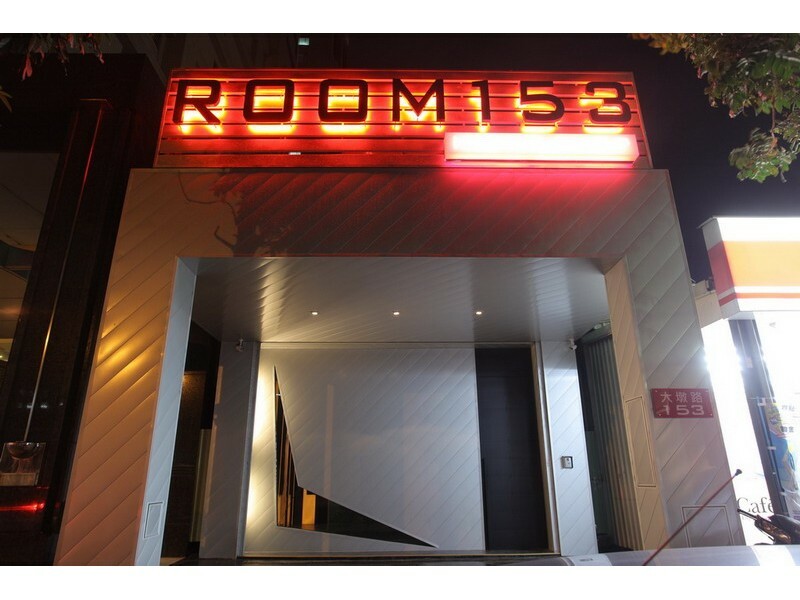 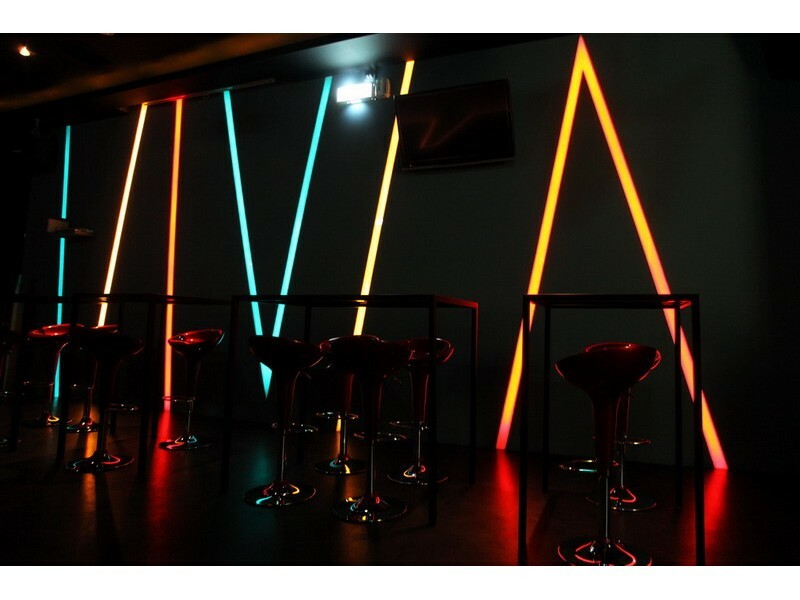 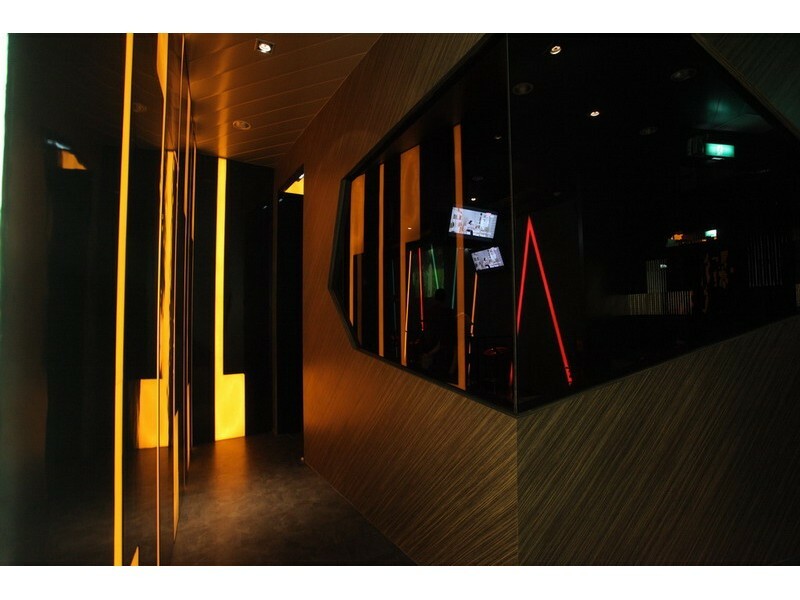 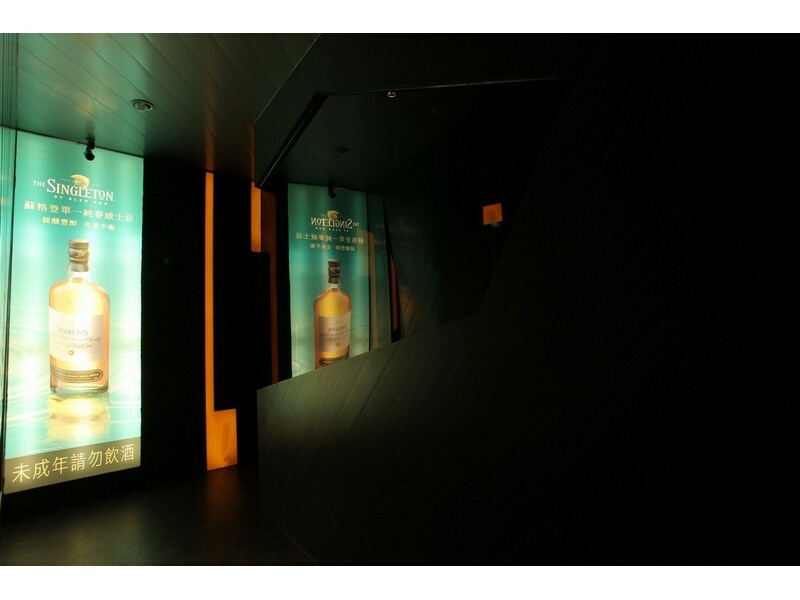 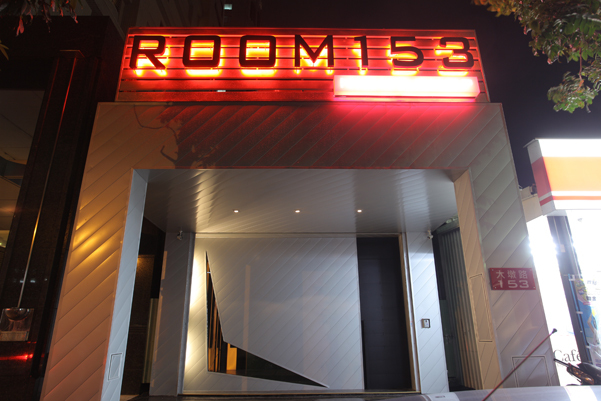 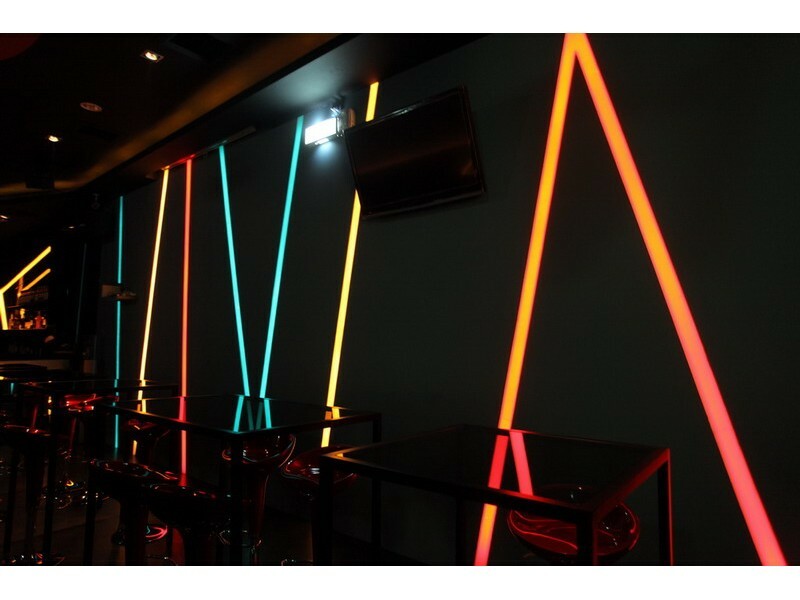 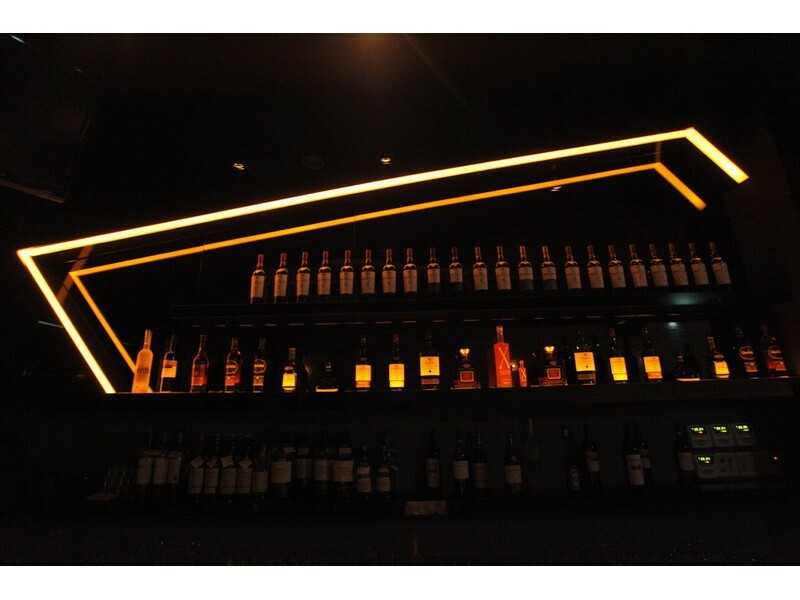 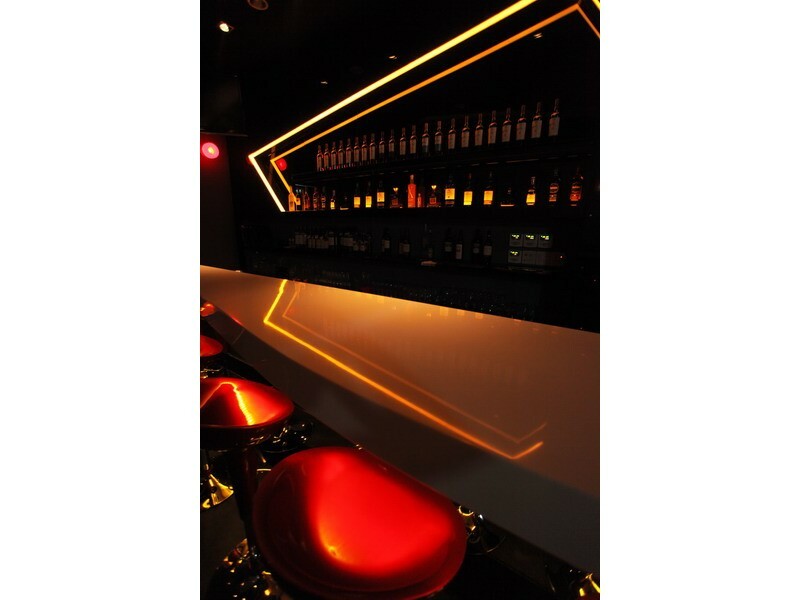 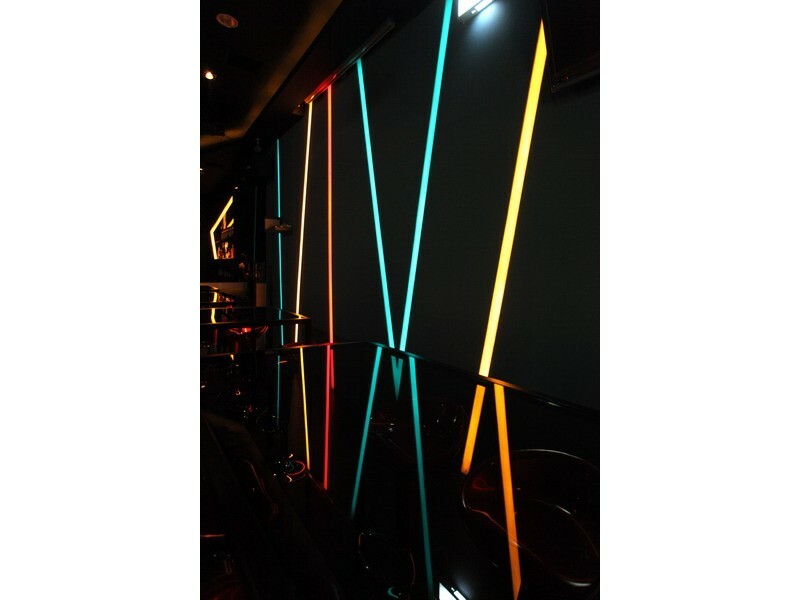 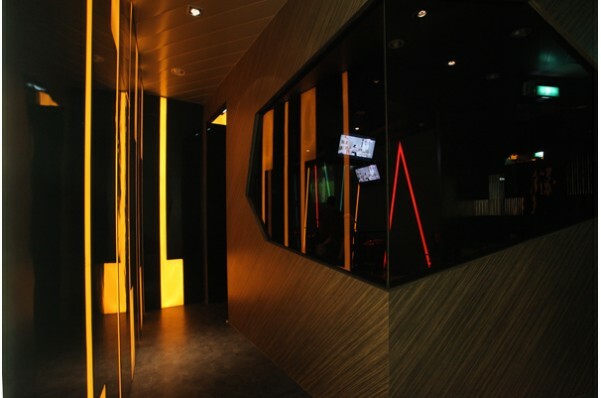 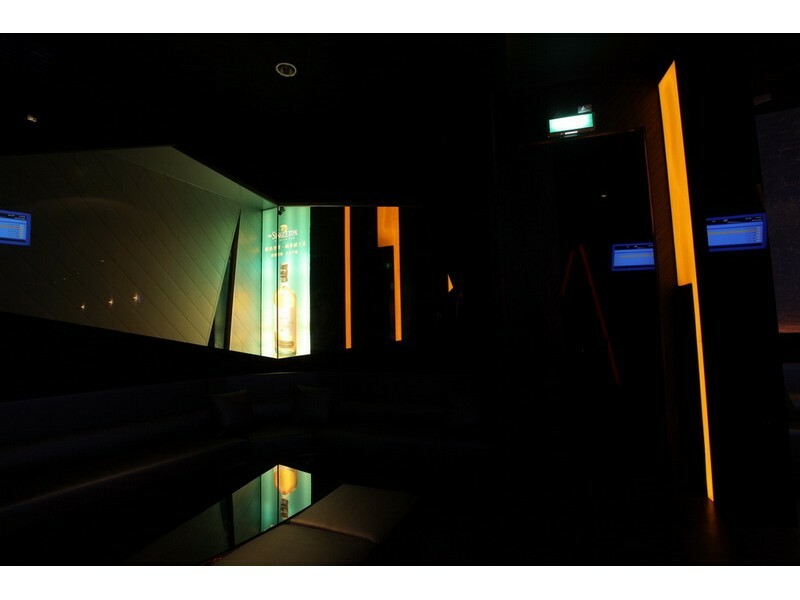 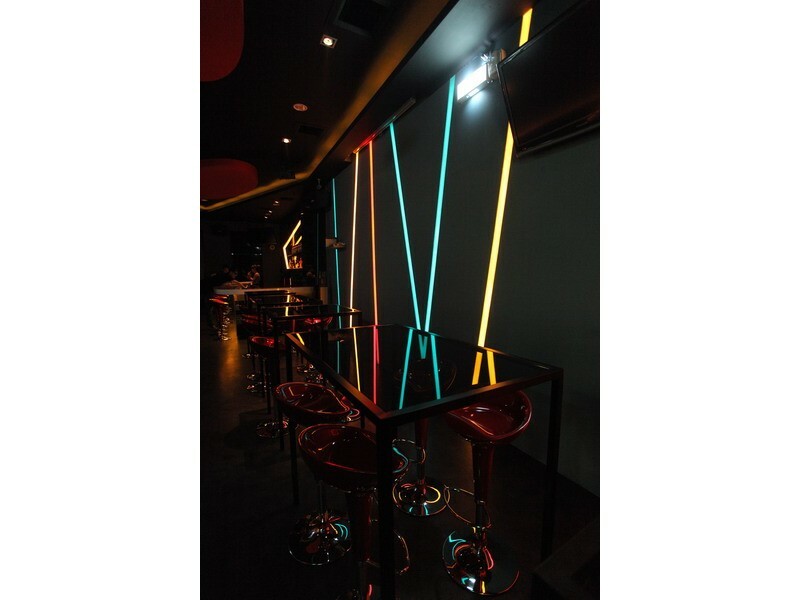 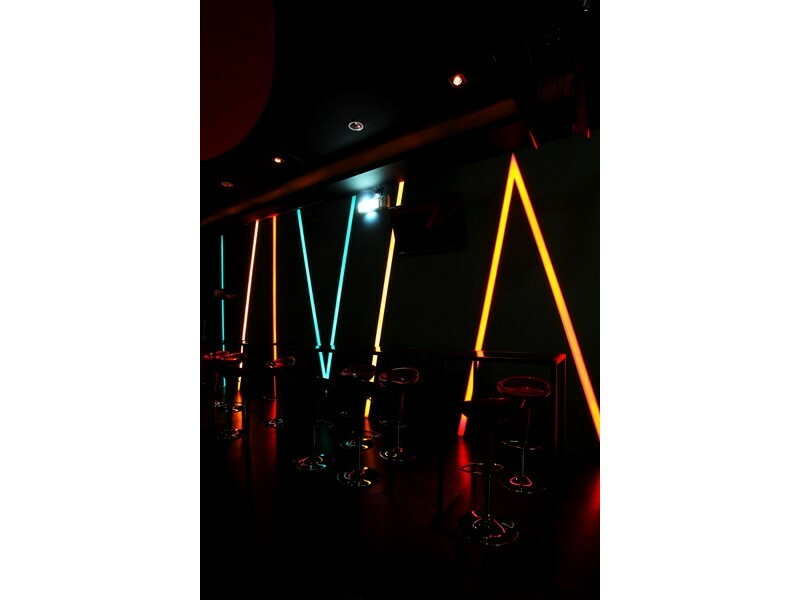 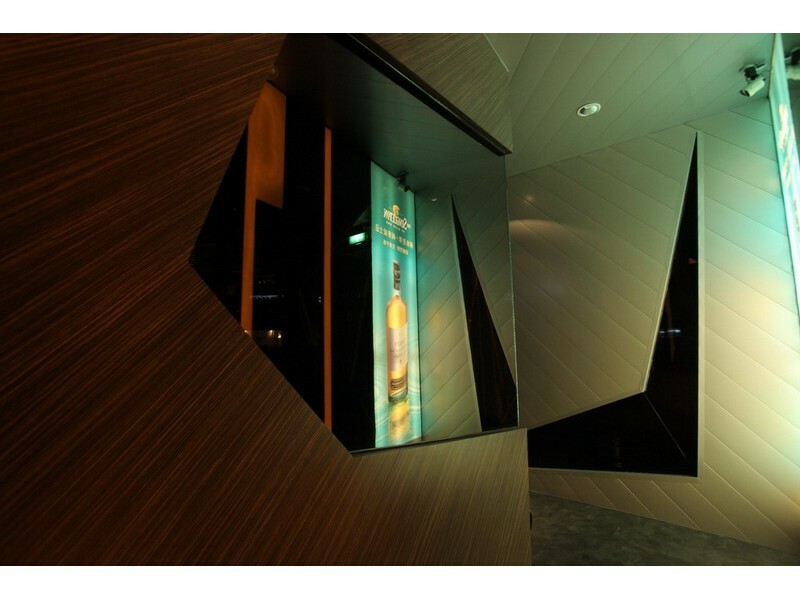 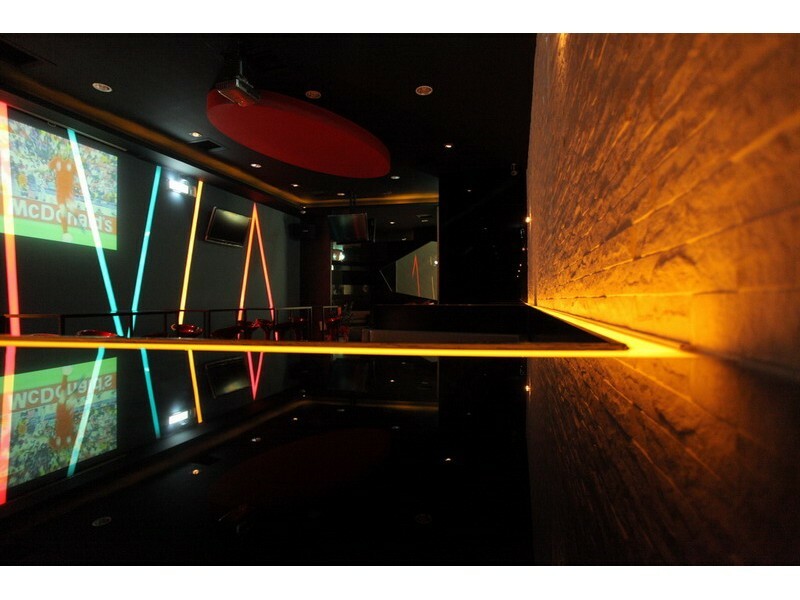 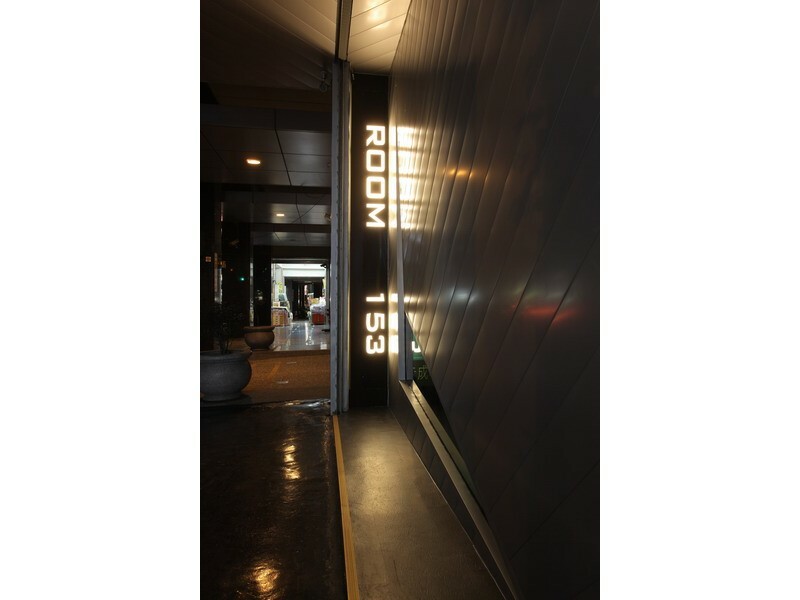 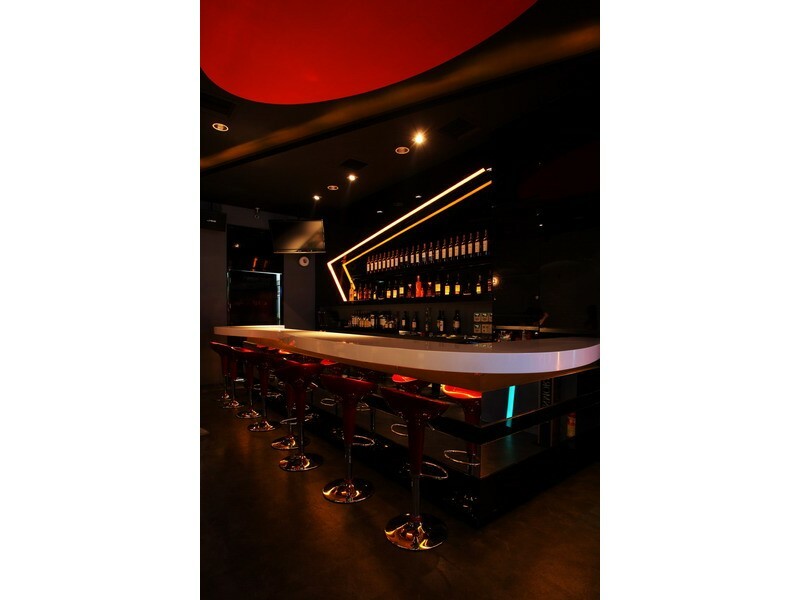 The fashionable Loungh Bar is located near a busy road, whosedeliberately low-profile design has not diminished its mien, and theentrance door with 340 centimeters as well as silver galvanized aluminumwith tinted glass arouses people’s desire to peek inside. 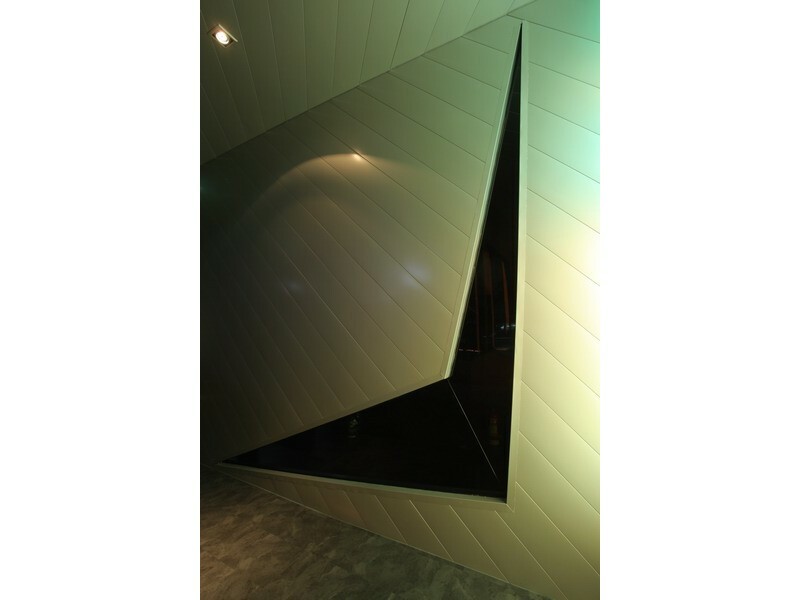 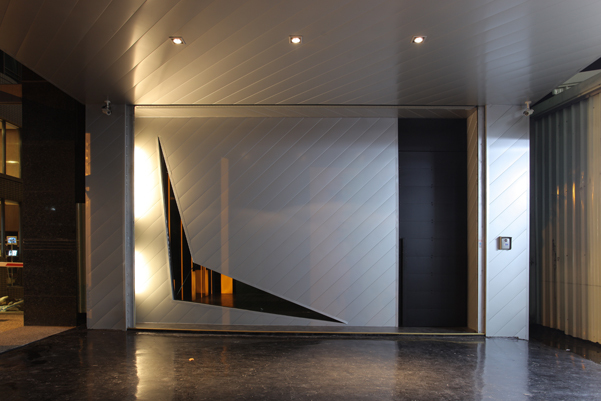 Opening the door, the visitors will take the open-box design in. 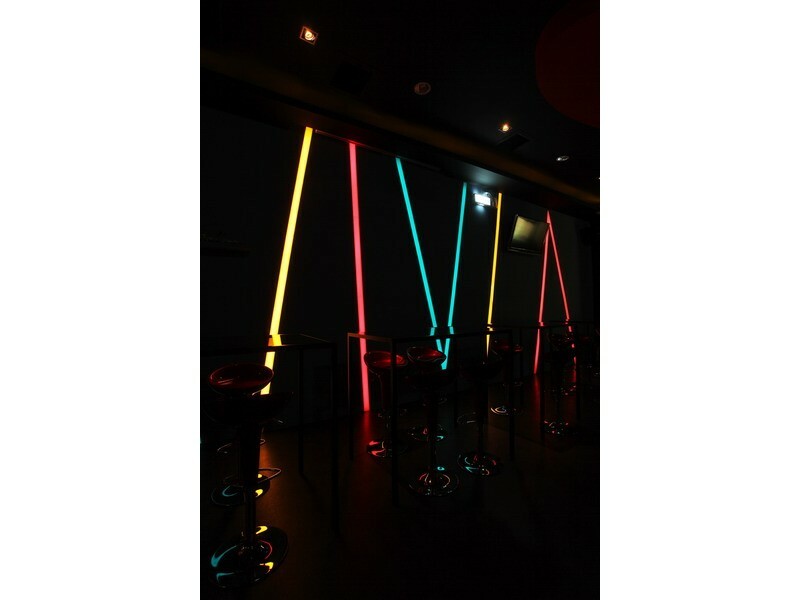 There are some color-piped lamps taken as segmentation of lighting design integrating the sense of conflict and fashion matched with double-seated highchairs, which makes you very comfortable even if you are in single. 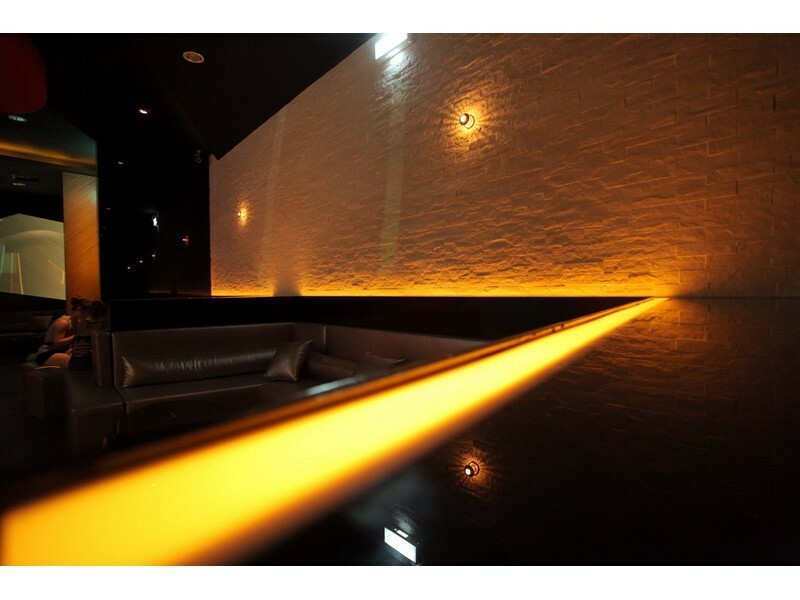 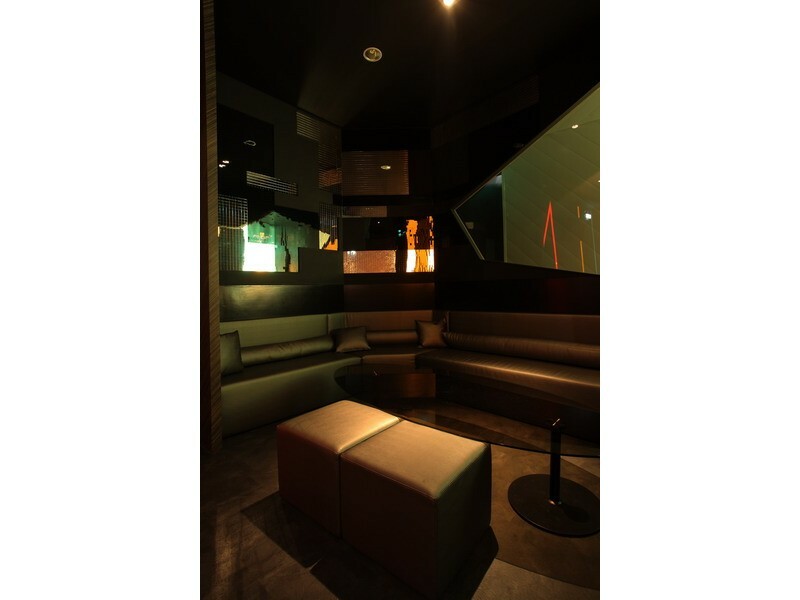 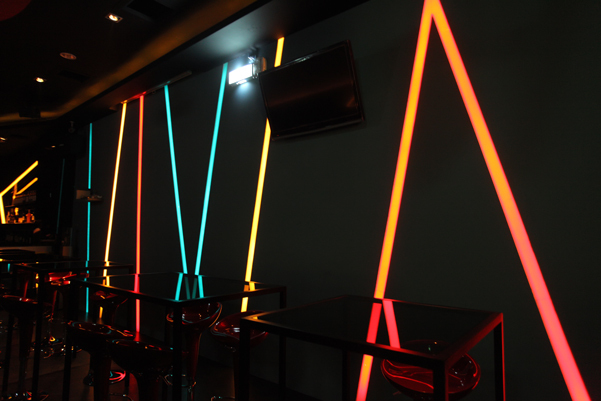 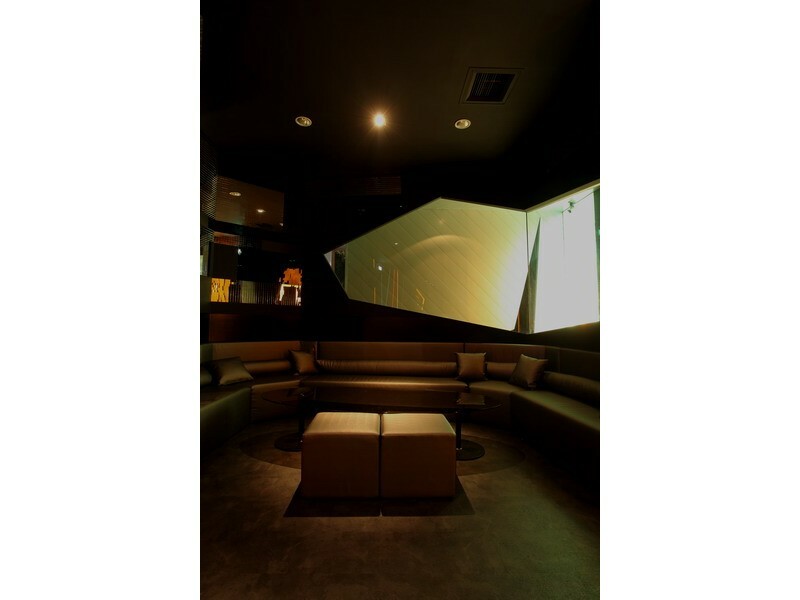 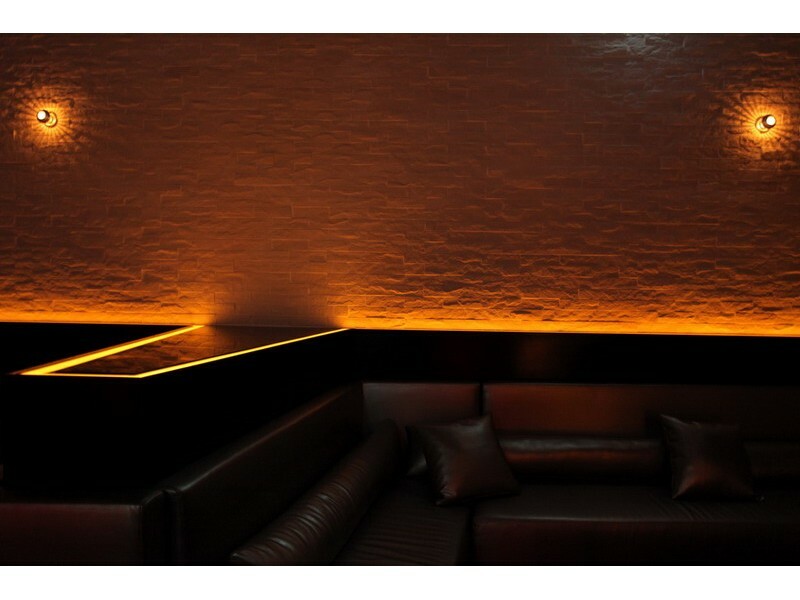 The comfortable sofa area can give you a feeling of rest and relaxation with the culture stone wall decorated, which brings the temporary stop for your soul in the nightclub. 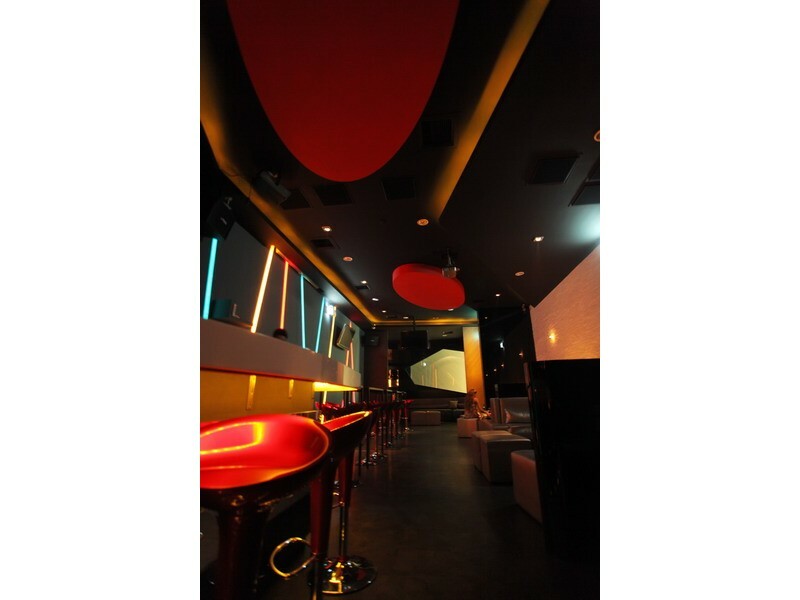 With the shadow of lighting, the scene of arc-type bar and red oval-shaped ceiling showing a little ambiguity and loneliness, as well as the attractiveness hardly hidden, which makes the floating night smothered in the candlelight arousing the deepest longing. 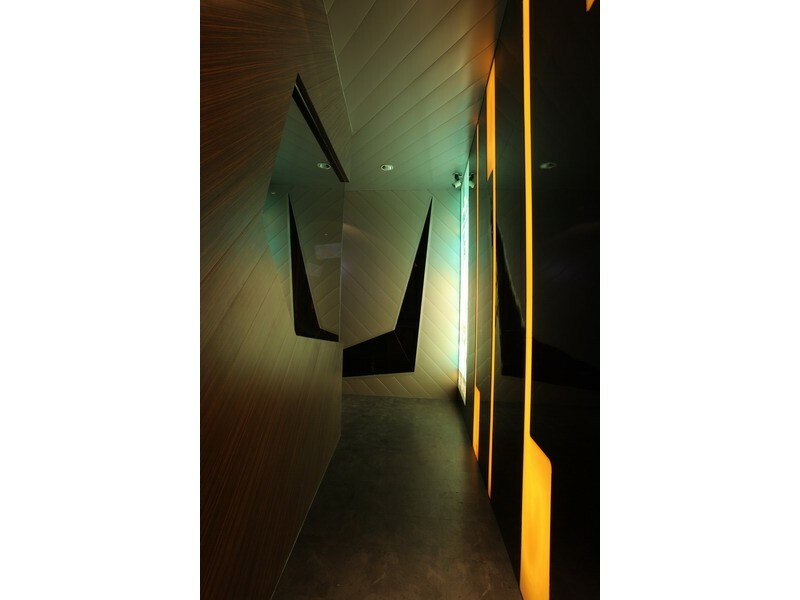 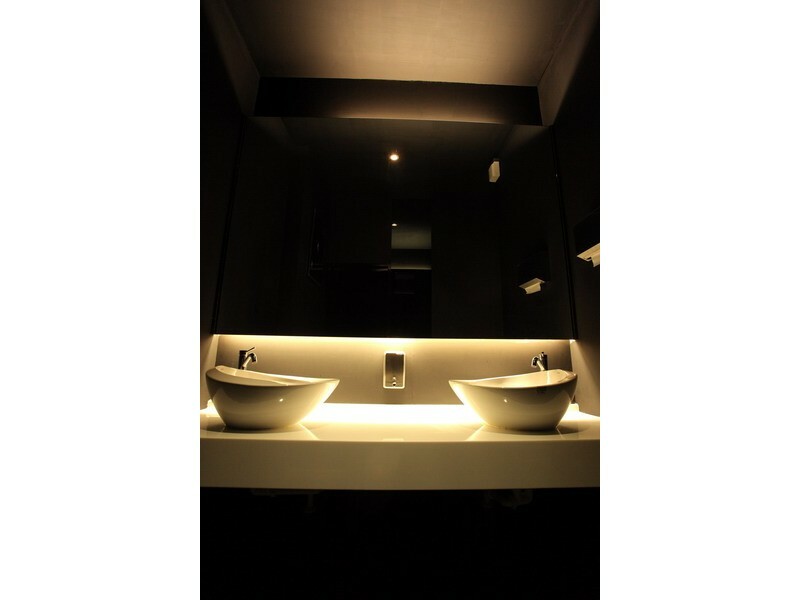 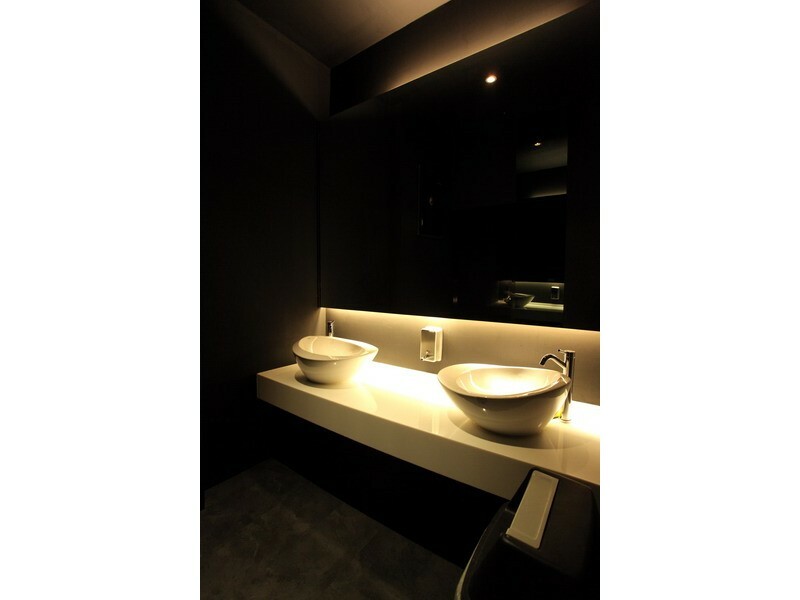 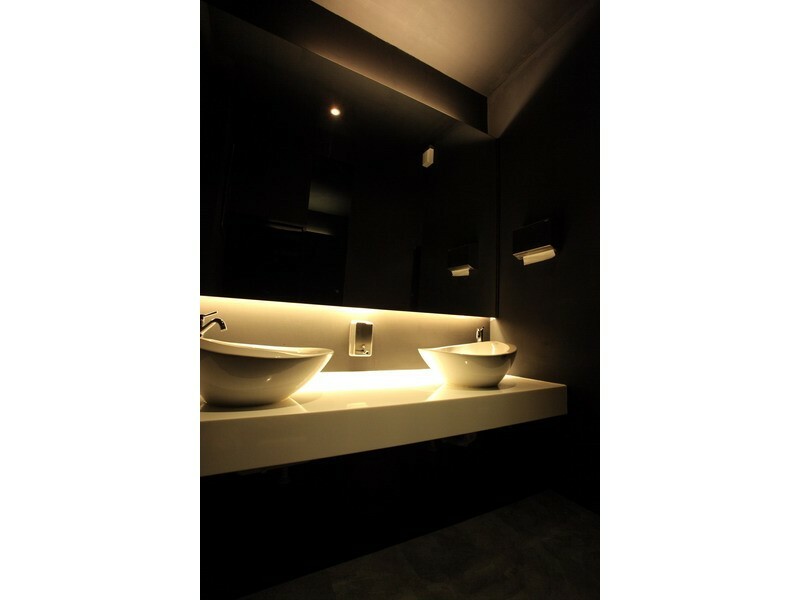 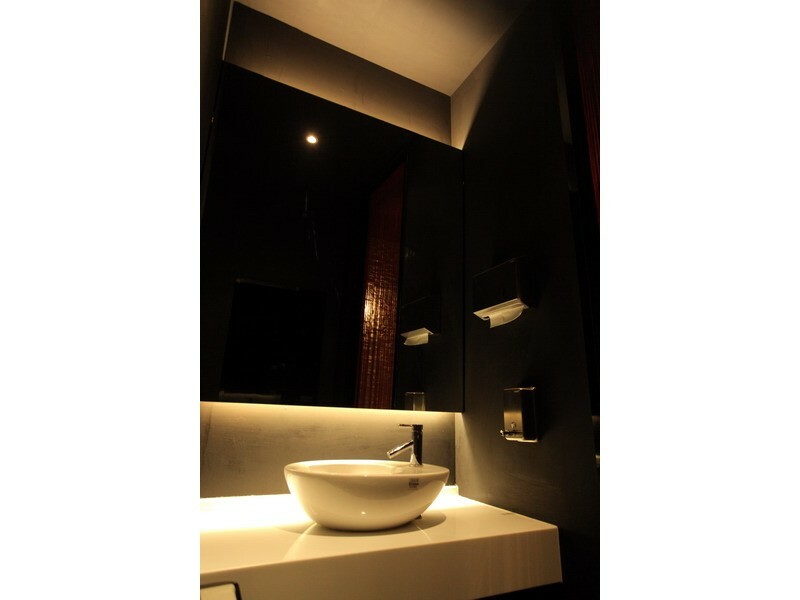 The stories of the space link together due to its design, and also because it endows the ordinary materials with fresh vitality, the stories about the room have been not completed, leaving endless imagination.